The 2016 regular season schedule was released back in mid April, so now that the season is actually upon us. Here is the Miami Dolphins schedule recap. 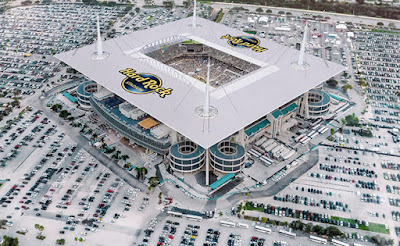 Though Miami didn't host their third home game at it's own venue until week eleven during the season of 2015. For a first historic such stretch in both home stand instances. The Dolphins in 2016 will sleep in their own beds for the entirety of October between September 30th through November 10th which includes weeks five, six, seven, eight/bye, and nine of 2016's season at Miami's newly named/refurbished Hard Rock Stadium. The Dolphins will reside in Southern California upon week ten through eleven as they are hosted by the San Diego Chargers and Los Angeles Rams on successive weeks. Otherwise, though parts of the schedule appear to be quite favorably manageable. Three of their first four games are on the road at high caliber 2011 - 2015 playoff teams. 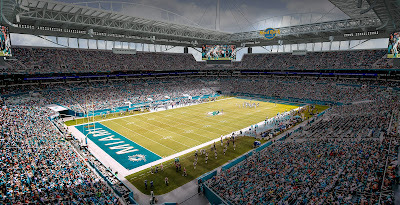 Miami opens the season with a week one visit to the NFL's loudest venue in Seattle, they follow that up as the homecoming opponent of the bitter rival Patriots while the third road trip comes on a short week Thursday Night Game at Cincinnati on week four. They have a second such stretch with three out four games being on the road during weeks ten, eleven, thirteen (and/or depending on how one segregates it), on weeks thirteen, fifteen, and sixteen. Either way, five of their last eight games are away from home. The Dolphins start and finish to the 2016 season will be quite the telling task as they start in the farthest possible NFL city from Miami at the Goliath Seattle, and follow that up at Arch Nemesis New England. Maybe a good thing to get them both before they get warmed up? Miami also closes-out the season with a trifecta against the AFC East with two of the three being Saturday games on the snow-covered road and/or tundra. For the second successive season the five consecutive years AFC Championship participant Patriots end the year at THE MIAMI DOLPHINS!! Here it is, Miami Dolphins 2016 schedule. The Miami Dolphins are 1 - 0 in 2016 ; )) .